Come Visit Us This Fall! So far September is comin’ through with fall goodness. Warm colors decorate the trees and cool breezes zip through the air. The apples are crisp, the dough is rising, and produce bins are overflowing. The farm is abuzz with preparation for all the upcoming fun. What’s in store? One more Bluegrass Weekend for the season, Fall Farm Fun Days, and pumpkin season. Learning about planting, tending, and harvesting shows how food goes from farm to table and instills an appreciation for farming and good stewardship of the land. Getting a feel for how a local business operates shows the relationship between commerce and community. Seeing the daily operations of a farm teaches the value of dedication, teamwork, and goals. You can schedule your school tour online or call 304-263-1168. If you want additional info, send us an email. Here’s to a happy fall, y’all! 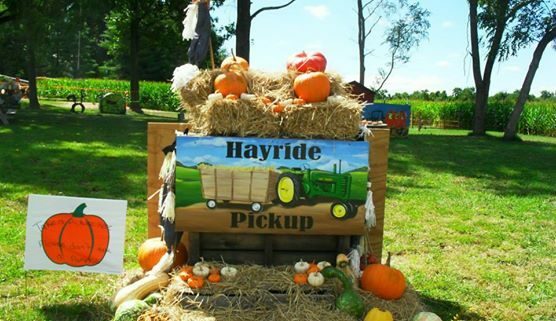 https://orrsfarmmarket.com/wp-content/uploads/2016/08/Hayride-Sign.jpg 417 556 Orr's Farm Market https://orrsfarmmarket.com/wp-content/uploads/2017/03/Orrs_WebHeader_2017-1.png Orr's Farm Market2016-09-29 11:08:022016-08-30 11:14:08Come Visit Us This Fall! Is it just us or can you practically taste all the good cooking in the air? It’s that time of year. Ovens are fired up for bread baking and pie making. Jars are prepped for canning peaches and pears. 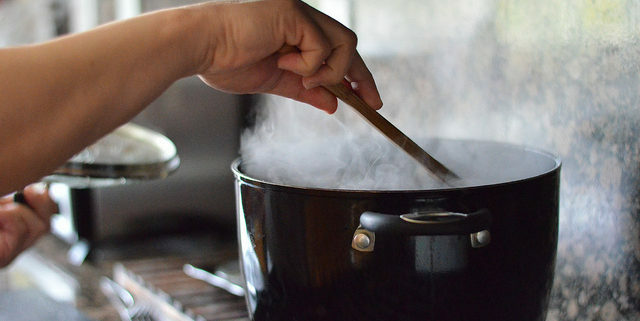 Pots are brimming with soup and casseroles are bubbling over. Food is a uniting force. For us, running the farm and market offers a unique relationship to food. We get to experience the life cycle of each fruit and vegetable from field to table. In the fields we plant, tend, and harvest. In the market we proudly display our homegrown produce, which will find its way into our baked goods and onto your tables—and ours—at meal times. We’re always searching for new ways to use the fruits and veggies from the farm. This September we’re on the hunt again. So far we’ve come across some sure things, like a recipe for restaurant-style salsa (which comes in handy for more than just dipping chips). A few new and creative dishes also made our list. We thought we’d share a few with you. Try ‘em out and let us know your favorites on Facebook! Get cooking and let us know which recipe was your favorite! Photo Credit: Nicole Abalde. Licensed under CC BY-ND. Crispy, Crunchy Apples Have Arrived! It’s fall. The farm is bursting with apples. Lots of crisp, juicy apples. Eat ‘em raw. Put ‘em in a pie. Dip ‘em. Sauce ‘em. They love to adorn salads. They make a mean salsa. (Never tried apple salsa? Do it now.) They’ve been known to wrap up in a crepe next to a slice of white cheddar. Apples are adventurous. Round up a bushel at the farm and let them take your tastebuds on a trip! Starting September 16 we will offer mix ‘n’ match apples at a discount that will last until November 26. Our bins are packed with different varieties. Pick your favorites for snacking, baking, and canning. Did you know apples freeze well? It’s a good option for making quick applesauce. You can also prepare and freeze apple pie filling. Here are a few tips for freezing apples. You’ll be hard pressed to run out of culinary options for apples. While we love the apple’s adaptability, we also warm up to its more traditional side. We’re not the only ones. On September 17, the entire country celebrates the apple in one of its most beloved and classic roles: the apple dumpling! On National Apple Dumpling Day, visit our market for fresh-baked, flaky apple treats. Our bakers will be churning ‘em out that day and throughout the September harvest. https://orrsfarmmarket.com/wp-content/uploads/2016/08/Apple-Branch-2.jpg 2736 3648 Orr's Farm Market https://orrsfarmmarket.com/wp-content/uploads/2017/03/Orrs_WebHeader_2017-1.png Orr's Farm Market2016-09-14 10:47:142016-08-30 10:48:37Crispy, Crunchy Apples Have Arrived!